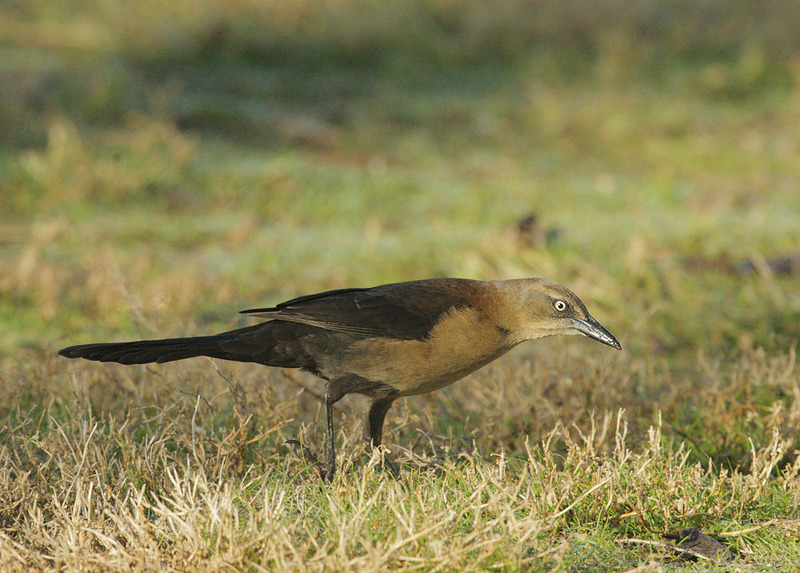 Both Great-tailed and the similar Boat-tailed Grackles are found along the Texas Gulf coast. This one is Great-tailed; a male Boat-tailed here would have brown to amber eyes, never bright yellow like this one. 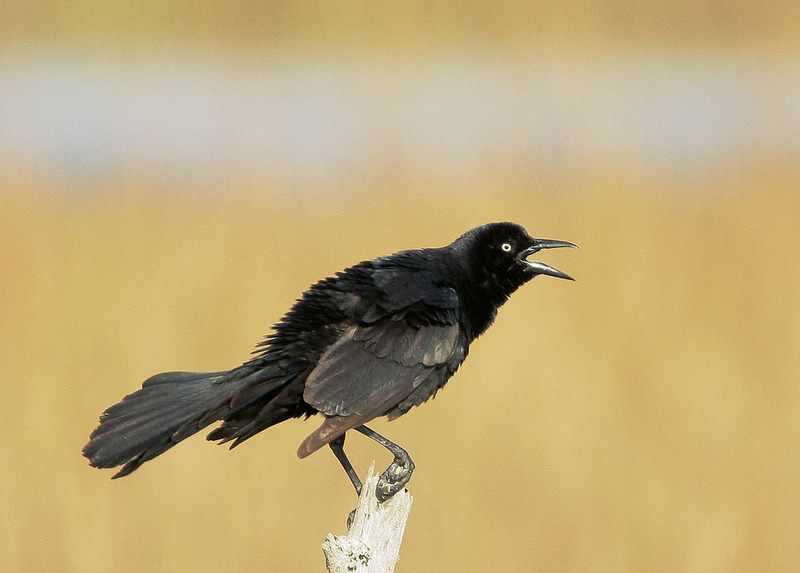 Great-tailed Grackles have expanded their range into Northern California in recent years, and they are found regularly and in increasing numbers here now. 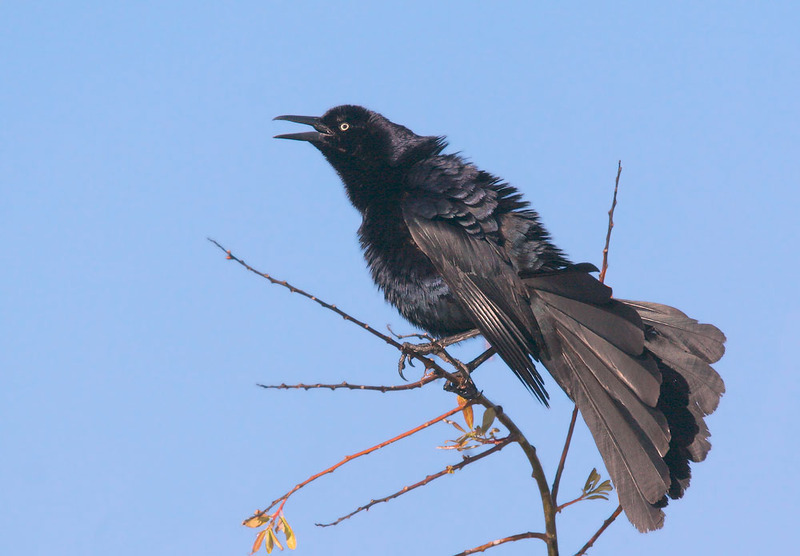 Male above, Monterey Co; pair below near home, Shoreline Lake, Mountain View. 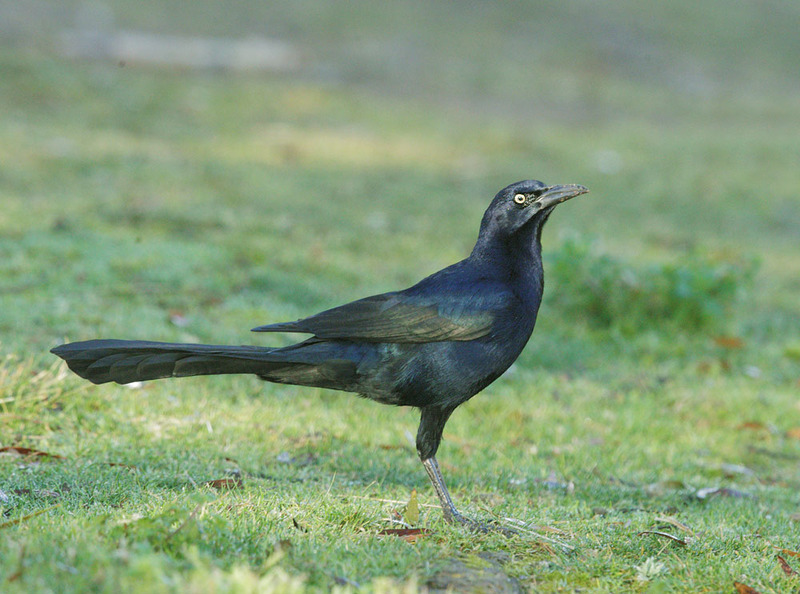 Above, a molting first-cycle male, showing pin feathers on head and throat, where adult-type feathers are replacing juvenals. 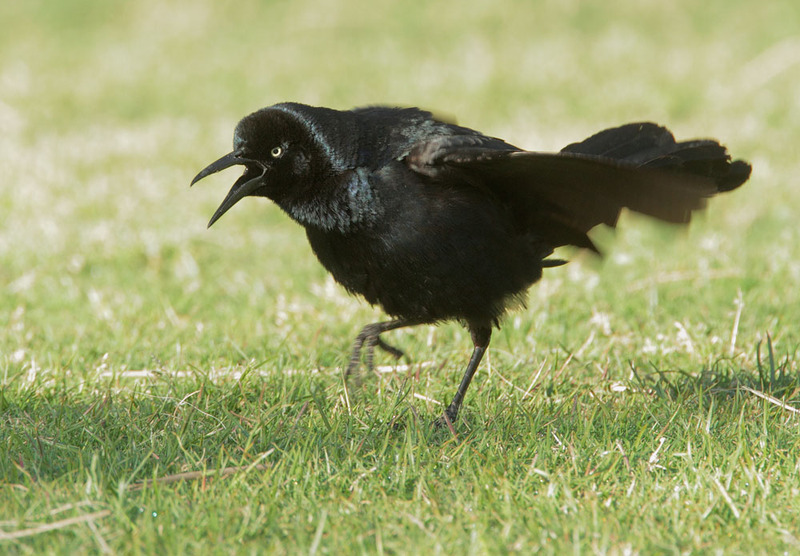 Black feathers extend further down the leg on an adult. 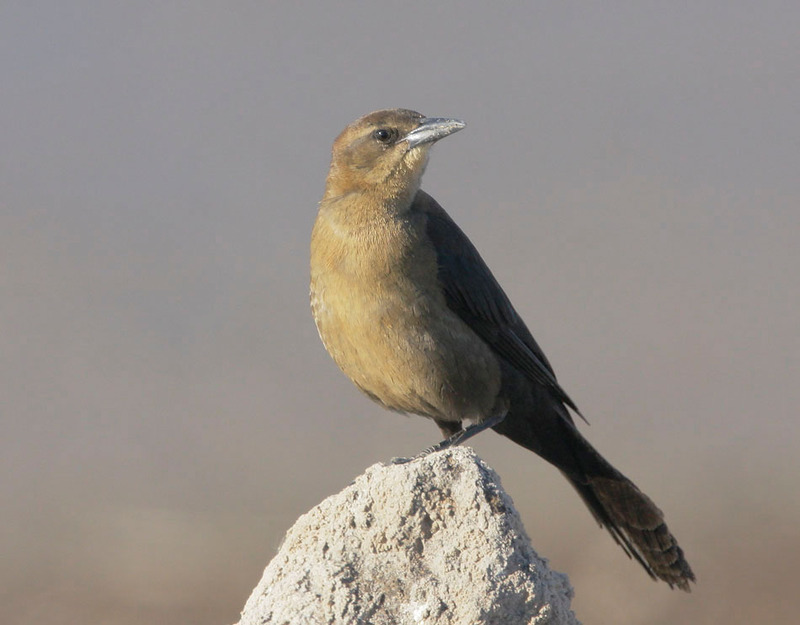 This is another bird of this species found in Northern California. 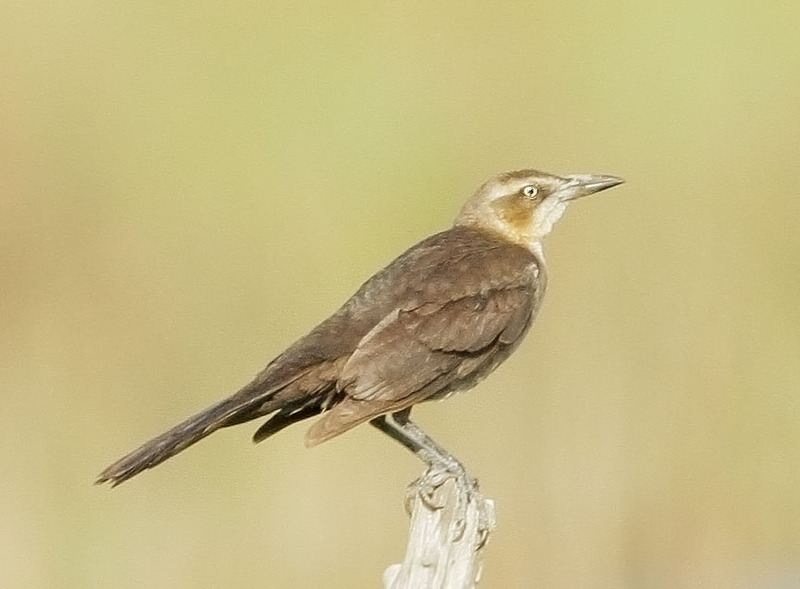 The more constrasty pattern on the head, and the almost white eye, mark this Texas Gulf coast female as Great-tailed rather than Boat-tailed. 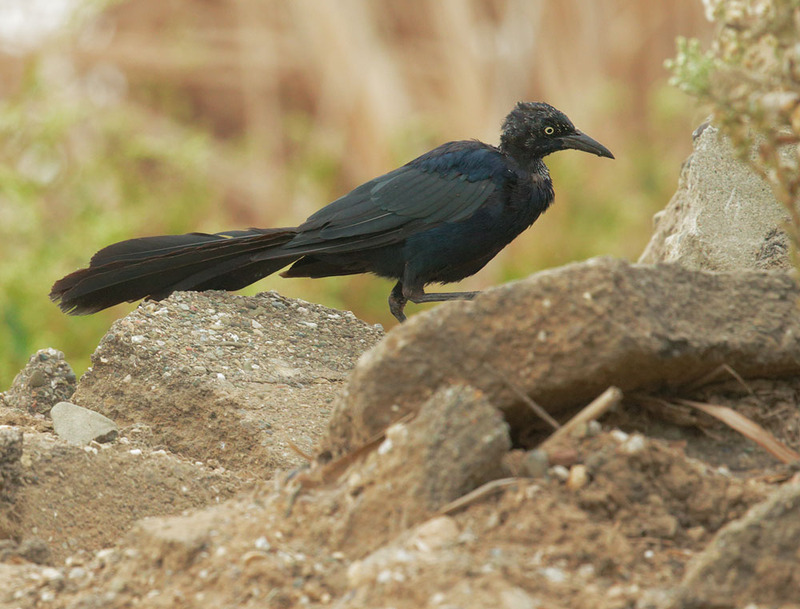 The Great-tailed Grackles were in courting mode when I visited Arizona in April 2010. 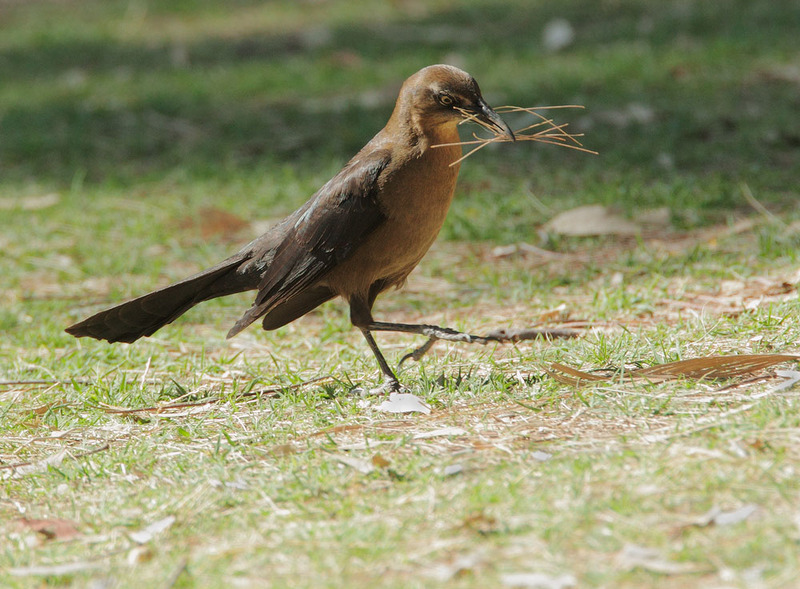 On the lawn at Agua Caliente Park in Tucson, this male was displaying along with many others, and the female below was gathering pine needles, apparently a nesting material.